Love playing poker? How sweet is it to have the best hand possible? (referred to as "The Nuts"). 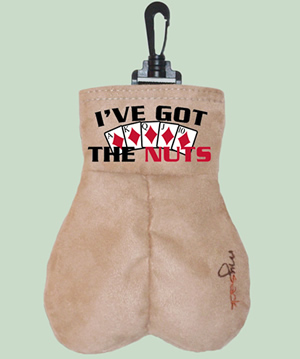 Slap this baby down on the poker table at your next poker game and see if anyone can pay attention to anything else. The rest of the table will lose their focus and it’s easy money for you. Includes two nuts.